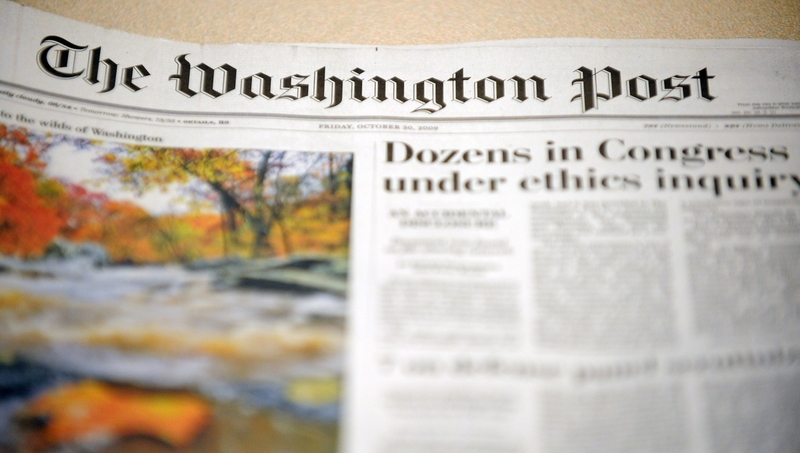 Fear And Trust At 'The Washington Post' : NPR Public Editor A cost-cutting, face-saving move by the Post to replace its independent ombudsman with what sounds like a customer care representative is sadly shortsighted. It contributes precisely to the decline in public trust that lies behind the travails at the Post and all American news media. NPR in polls confronts the same trust malady. The press grows in power, yet sheds ever more controls. Editors will never investigate themselves. The public rebels. After 43 years of having an ombudsman, The Washington Post announced Friday that they are ending the position. When The Washington Post in 1970 became one of the first American news organizations to have an ombudsman, it set a precedent that helped build the quality and influence of the Post and all American journalism. When today the Post killed that position and replaced it with what sounds like a customer relations person, it appeared to be setting the opposite precedent of sticking its head in the sand. It eliminated a position that builds audience trust precisely at a time that this fundamental and fickle quality — trust — in the Post and all American news media is declining. That reduced trust, as much as changing business models, is responsible for the economic travails with which the Post is struggling, and ostensibly seeking to combat by eliminating the ombudsman to save both money and face. The circular irony is sad. Washington Post publisher Katharine Weymouth announced today that the paper will appoint a reader representative. Feb. 28 was Patrick Pexton's last day as ombudsman. 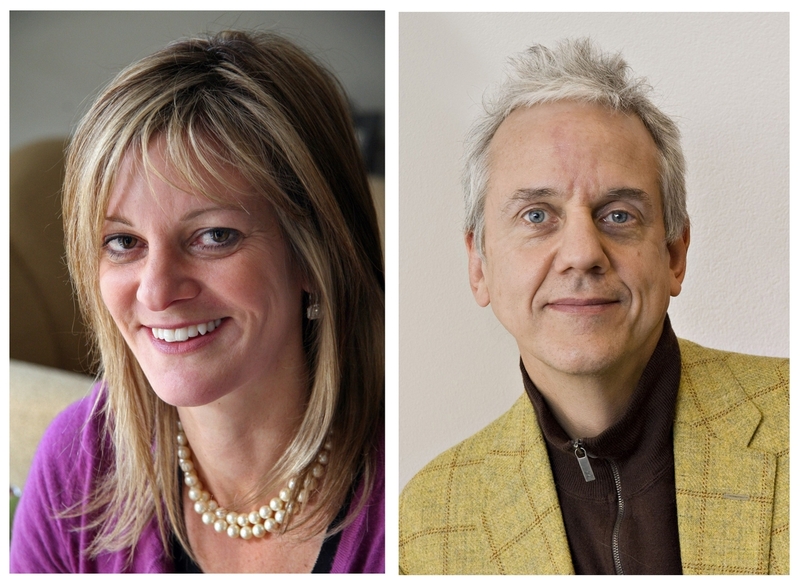 Post Publisher Katharine Weymouth announced the change late Friday, the day after the two year contract for the paper's last ombudsman, Patrick Pexton, had ended. "The world has changed, and we at The Post must change with it," she wrote, not unreasonably. "We will appoint a reader representative shortly to address our readers' concerns and questions. Unlike ombudsmen in the past, the reader representative will be a Post employee. The representative will not write a weekly column for the page but will write online and/or in the newspaper from time to time to address reader concerns, with responses from editors, reporters or business executives as appropriate." A call to public relations at the Post went unanswered, but what was clear from the announcement was that this new reader representative will not be an independent outsider protected by contract, as most ombudsmen are, and apparently will not do her or his own investigations. Rather, like a customer relations person, she or he will take in complaints and get responses from editors, reporters and executives. The novel feature is that some of the responses will be published online, though not in the paper. Weymouth justified the change by noting the evolving times and adding: "We know that media writers inside and outside The Post will continue to hold us accountable for what we write, as will our readers, in letters to the editor and online comments on Post articles." In one of Pexton's recent columns, Executive Editor Marty Baron also pointed to the "ample criticism of our performance from outside sources" and noted that for the favor of these sometimes unpleasant criticisms — my words — the Post didn't have to pay their salaries. I sympathize with Weymouth's predicament and know and admire Baron, who joined the Post recently from another fine newspaper in economic trouble, the Boston Globe, which killed its ombudsman, too. I also am a great fan of the Post. Early in my career, I was a prolific stringer for the paper from Boston, Tokyo, Seoul and around Latin America. More recently, before joining NPR, I was an op-ed contributor to the Post and was syndicated by it. Today's move won't change my love for the paper. But let's be honest: no editor or reporter at the Post or any other news outlet — including NPR — will subject himself or herself to being publicly questioned if he or she doesn't have to. This is human nature. The rest of the world adds ombudsmen and improves news standards, while the American media cowers. Editors and reporters do respond to some criticisms from readers or listeners, but they usually do so privately. They often also publish corrections, but usually these are of indisputable facts. Journalists, no matter how high-minded or principled, will seldom investigate themselves, over issues of fairness, ethics, nuance, context, judgment, half truths, tone and the like, as well as over some mistakes, unless forced to by lawyers, a massive public outcry — or by an ombudsman. Moreover, self-investigation by editors in the newsroom rarely is a fully accurate investigation. Editors naturally and properly see themselves first as defending the organization, not the audience. There are indeed many individuals and organizations that call themselves "media analysts" — and we certainly don't lack for anti-media gadflies — but their critiques usually are uninformed, silly nitpicking or advocacy opinion thinly disguised as analysis. These critiques disappear in the political noise. A dirty little truth is that many, if not most, editors and reporters in mainstream media hold the advocates and online gadflies in such low regard that they seldom read them, much less respond to what they write. This is separate from the serious, non-partisan veteran watchdogs such as Howard Kurtz of CNN, think tanks such as Pew, training centers such as Poynter, and any of a number of academics. But none of these focus on any one outlet, and only seldom do they really investigate any one story. There is no way, however, for editors and publishers to ignore regular reports by their own independent ombudsman who has done the research and talked to you or your staff (some of whom confidentially may have been the source of the original complaint). Then there is the upside that pleases the organization. The ombudsman is usually a veteran journalist who understands the competing pressures in putting out the news. In weighing many criticisms, she or he can offer independent but realistic perspective on judgment calls and deadline decisions, sometimes actually winning sympathy for the newsroom from the audience. Only the silly and the snarky expect non-human perfection. As often as not, I disagree with complaints. But by taking them seriously, even those made by advocates, I find that it disarms the critics, or at the very least wins their appreciation. Listeners, readers and viewers want above all to know that someone with independent power in the organization is actually listening to them and acting on their complaints. Not even Fox News is immune from the trend among Republicans. One, moreover, would be foolish not to listen to an audience as smart as NPR's, and even extremist advocates can be right. Receiving a pro forma response to a complaint, or having your complaint read on air, is a far cry from having someone believable actually investigate your complaint and get to the truth. The online stories cited by Weymouth are at least a public response, which is good, but the stories sound as if they could be written by the public relations department. If they are that way, it is unlikely to win much credibility among readers. And the mainstream news media is in need of a lot of credibility these days. Repeated polls show the unmistakable decline in public trust. Gallup, for example, has been measuring the trend since the 1970s, when an overwhelming number of Americans professed to have a "great deal" or "fair amount" of "trust and confidence" in the news media. The proportion was as high as 72 percent back then. By last year, it had plummeted to 40 percent — meaning less than half of Americans said they have much trust or confidence in the country's news media. Another reliable researcher of public opinion, the Pew Research Center for the People and the Press, looks at 13 specific national news outlets — including NPR — and asks the question in a different way. Pew measures what it calls "believability" and asks respondents to give a rating of one to four, with four being the highest rating. In its poll last year of 1,001 adult respondents, more than half — or an average 56 percent — gave a three or a four to the 13 outlets. That would seem to be a little more positive than the Gallup findings, but the trend is the same: downwards. The average positive rating was 62 percent just two years earlier, in 2010, and was a very healthy 71 percent in 2002. The drop in average positive believability, in other words, was 15 points in just 10 years. Once again, there is a partisan gap, but not even Fox News is immune from the trend among Republicans. Some 67 percent of them gave Fox a favorable believability rating last year, but this was down 10 points from two years earlier, as Pew's trend since 2002 by party illustrates. The margin of error behind each number is high due to small sample sizes, but the trend is indisputable. Independents are not shown here, but they fall roughly in the middle between Republicans and Democrats in how much they believe most of the media outlets measured by the survey. Also, The Washington Post was not included among the 13 news organizations, but does anyone believe that it is bucking the national trend? NPR falls more or less in the middle of the pack in all the Pew measures. Its credibility, too, has declined over the last decade. In 2002, 62 percent of respondents gave NPR a believability rating of three or four. Last year, the number had dropped to 52 percent. The news media, of course, is not alone in suffering from declining trust. So are governments at all levels, churches, schools, political parties and other institutions, according to social scientists. We live in an age in which, rightly or wrongly, cynicism is high and evidence-based analysis has given way to half-truths and mere opinions. The Internet is aiding a national fragmentation along political, ethnic and other tribal lines. What this suggests, however, is a need for independent ombudsmen not just to build trust, but also to help news organizations maintain exacting news standards. The nation needs a reliable, fact-based news media more than ever to combat the misinformation and cynicism. The quality of American journalism is generally high, but ombudsmen help hold their newsrooms' feet to the fire. Curiously, while the American news media cowers and pulls back, unable to believe in itself, the increasingly free press in so many other parts of the word are adding ombudsmen and improving standards. Even in some places without a long tradition of free press, there is a growing recognition of the link between good public information, on the one hand, and economic development and democracy, on the other, as shown in studies by the World Bank and others. I am on the board of the international Organization of News Ombudsmen and have watched with delight as the number of ombudsmen has taken off in countries such as India, Bangladesh and South Africa. According to Stephen Pritchard, the president of ONO, Colombia now has 14 ombudsmen working just in television — each with a weekly half-hour show—and Mexican television has five. When Lord Justice Leveson issued his report last November on the phone hacking scandal in Great Britain, he cited having an independent ombudsman as a "best practice" to respond to public complaints. The movement toward having ombudsmen grew in the United States as the press became more powerful beginning with a series of Supreme Court rulings in the 1960s that largely created the American idea of almost unfettered freedom of the press as we know it today. Despite the First Amendment, the press often was far more circumscribed on matters such as libel, privacy, government secrecy and fairness before then. But the United States news media has always fiercely resisted having an industry or national press complaints council, as exists in many other countries to help maintain standards, curb abuses and give citizens some recourse for complaint short of a costly suit. The ombudsman was our answer, led, apparently, by The Louisville Times and The Courier-Journal, three years before The Washington Post. The American press remains powerful, but as, first, regional papers and, now, possibly The Washington Post eliminate their ombudsmen, the press has ever-fewer controls over it. Television news, for example, is barely regulated by the Federal Communications Commission and no longer adheres to what was once its longstanding fairness doctrine. Small wonder the public rebels by questioning the power of the news media and losing trust. Clearly, the mainstream news media is facing an existential economic crisis that cannot be ignored. I know it well, having published my own chain of four Spanish-language dailies in Texas that failed because of the secular decline in advertising. But the protestations by many editors that opening themselves to investigation and criticism by an ombudsman further weakens the organization are short-sighted. It is a bit like the arguments of Chinese and Venezuelan autocrats who limit free press in the name of national strength and their own self-professed good intentions. What the crisis in the news media calls for is doubling down to rebuild trust. This might require some creativity, including outsourcing the ombudsman or, eventually, joining forces with other news organizations to form some sort of non-governmental press complaints council or group. Such a reorganization within the industry might contribute to a complete rethinking of the sector and what may become an inevitable trend toward public media to replace economically unsustainable private news media. This may be especially true for general and local news — if the unsustainability of online news that we see today comes to that. Which brings us to the public media we already have. This includes NPR, PBS and their many member stations. I am on a time-limited contract and will not be at NPR forever, so what I say next is not out of self-interest. I will be gone. But it would be absolutely unconscionable for a news organization that calls itself a public medium not to have an ombudsman. The very nature of its being "public" — with its revenue coming from taxpayers, audience members, foundations and corporate underwriters — requires a bending over backwards to be transparent and open to criticism and independent investigation. The same can be argued for private media organizations such as The Washington Post, which claim special constitutional privileges as a virtual fourth branch of government and yet demand a laissez-faire form of non-regulation that they do not accept for any other corner of American society. I adamantly agree that we do not want government regulation of press standards. But to forsake even self-regulation and transparency raises questions among the American people about the extent of the media's special privileges and legitimacy. This opens a separate debate, about the relationship between government and the news media, better left to another time. The point here is to support the self-regulation of having an independent ombudsman — for the audience, for the country and for the news media itself.